Do you love the colorful twisted twine that is everywhere, it seems, in blog land? I am smitten. 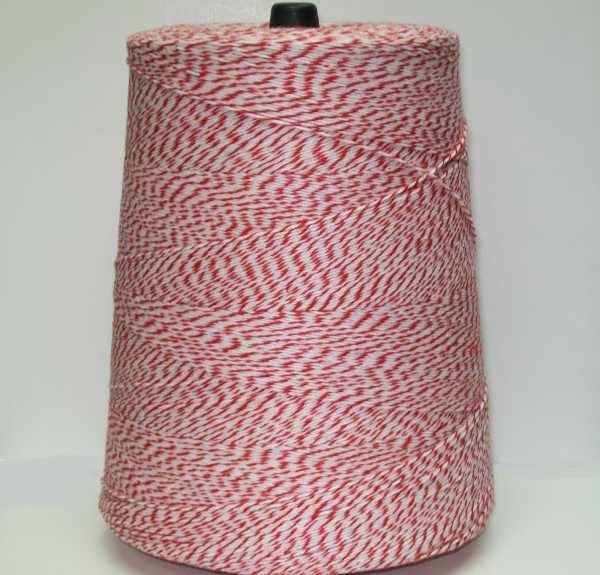 Some Etsy sellers are charging ridiculous amounts for five yards, wound around an old spool. I ordered a small amount in a few colors a while ago. The quality was sorely disappointing. It was very thin and hardly showed up at all on my brown gift packaging or parchment paper wrapped goodies. When I started to ration myself, I knew I had to find a better source or a substitute. I found both! I wanted something more substantial, and still all cotton. Look at what I discovered, in Wal-Mart no less. Yep, $1.47. It is all cotton, strong and the twists come in many colors. Lily brand Sugar 'n Cream Twists. I picked up this green and a barn red. Each skein is ninety-five yards. You can also order it on-line here, at The Knitting-Warehouse, for $2.14. Red Heart sells their Eco-cotton (a blend, some acrylic) recycled skeins in a few twist colors also. I love the marled linen. The price for this one is about $1.99. Far better than the other flimsy stuff. Just look at how I store mine. This was a salsa jar, the perfect size. 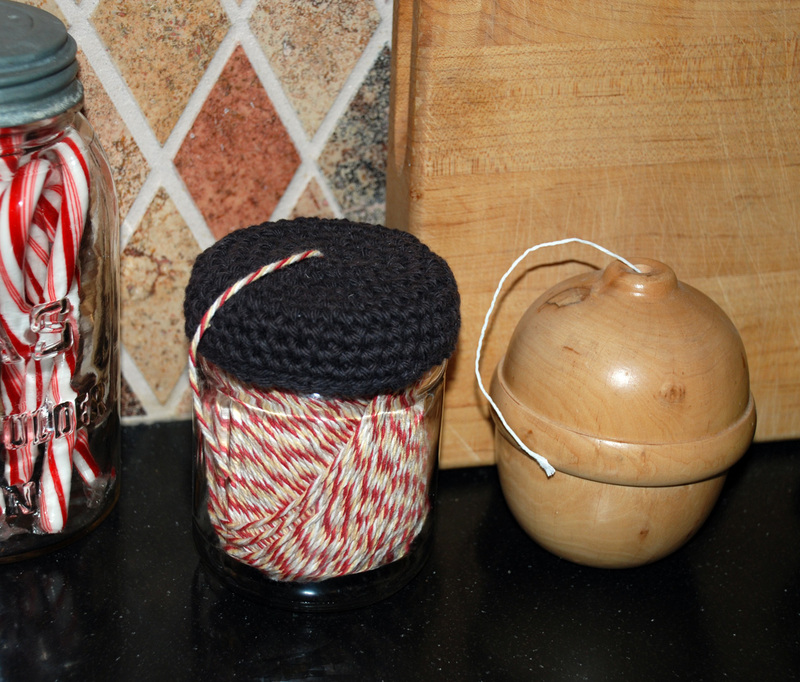 I crocheted a round top and pulled the string through, a very cute container. I keep mine right on the kitchen counter, along with the linen butcher's twine in a beautiful hand turned (by Mr. B) dispenser. If you are still a purist, and insist on using authentic baker's twine, go to the source. A bakery supply store, like this one, Country Clean Paper Supplies. 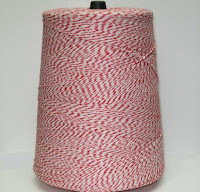 Here you can purchase a two pound cone, that 's 3400 yards of 4 ply twine in at least 5 twist colors, for $8.95-$10.50. I may do this in order to get the black/ white twine I need. Now go get some decent twine...it's hot, hot, hot! Cool! I will brave Walmart (ALWAYS crazy-crowded) to get some. Thanks for the hot tip! What section of Walmart was it in? I adore the practical down-to-earth tips you share here. You are truly a generous person. Merry Christmas! To answer Brianna: It is in the craft aisle along with the yarn.